I like inexpensive pistols. Not everyone can afford ‘mid-priced’ ($500-700) pistols, so I like to give those folks some options. Over a year ago, I picked up a S&W SD9VE on sale for about $300. It proved serviceable and reliable but the trigger was a little heavy. It wasn’t unmanageable but it was hard to shoot to the level I like to with it. The three dot sights had to go, so I blacked out the rear dots with a black marker and painted the front sight orange. Shortly afterward, Apex Tactical Specialties was selling their upgrade kit at the NRA Annual Meeting for half price, so I bought it. It consists of several replacement springs and an ‘Action Enhancement Trigger.’ I didn’t care much for the hinged trigger on the gun, so I bought the kit. After installing just the spring kit, the trigger pull became noticeably easier to use. It lightened up enough that I didn’t even install the trigger. Yesterday, I decided to install the trigger also. 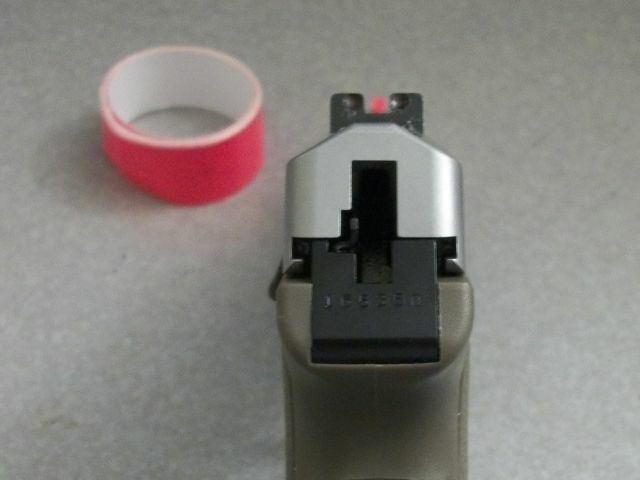 It is a Glock® style trigger with a safety bar that also reduces the length of travel and pull weight. Contrary to what the common taters on the Apex YouTube installation videos said, it was easy to install and didn’t mess up my gun. Some people have no mechanical aptitude and simply should not work on mechanical devices more complicated than a ball point pen, much less firearms kept for personal protection. Another interesting factoid I discovered was that the SD9VE is actually the Glock 19 sized pistol that people have been clamoring for S&W to make for as long as I can remember. When I put the two pistols side by side, it was obvious they were in the same size class. To test out what I could do with it, today I shot the IDPA 5×5 Classifier. The Classifier is a simple yet challenging test of equipment and shooter. It is only 25 rounds, requires only one target, and can be set up and shot in less than five minutes. 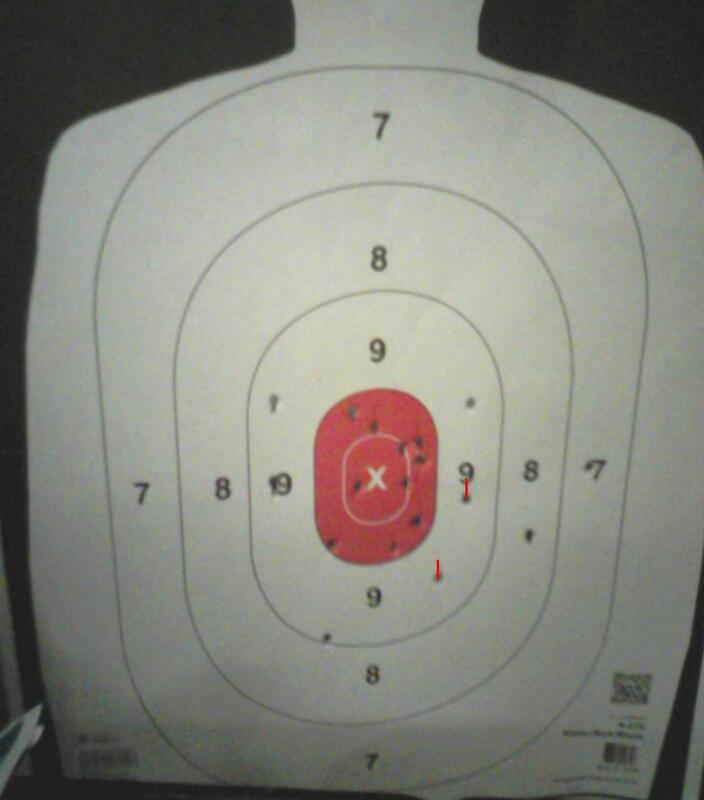 It’s a little difficult for newer shooters, so I didn’t include it in Concealed Carry Skills and Drills. I was able to shoot an overall score of 23.37 (3 points down), which put me squarely in the middle of Expert classification. Considering how little centerfire ammunition I’ve shot in the past few months, I think that gives a good indication of the pistol’s potential. My gun has fired close to 1,000 rounds without a malfunction, so it has proven to be very reliable. Overall, this is a very underrated pistol. I’m looking forward to putting more rounds through it. Note that I bought the pistol and the upgrade kit with my own money. I get no promotional consideration for writing about it, I just like the gun. How many rounds to carry? That question came up on a Facebook group I’m a member of recently. In response, I referenced my Armed Citizen database. The question was asked about my methodology, which is a fair question. I’ll address it my forthcoming eBook about the Armed Citizen but I want to first post the Introduction, which addresses the journey I have made about the Armed Citizen and my analyses thereof. This book is the result of the overlap of several very widely different topics and experiences. As is often the case, as more information comes to light over time, perceptions can change. During my time in the Army, I held several different intelligence (S2) positions. These largely involved information collection and analysis duties, not ‘spyguy’ stuff. The purpose of Intelligence in the military and government is always to facilitate decision-making. Having to provide and defend a cogent analysis of not only the information collected but the conclusions I drew from it was a formative experience for me. Information collection was only the beginning. From there, it had to be processed and turned into a usable product that decisions could be based on. As I wound down my military career and entered the civilian world, I got into the commercial real estate business. As a Research Director for several different real estate firms, my S2 training and manuals were very useful to me. At the same time, the transition from mini-computer (Wang) to PCs in the business world was beginning. My boss was an extremely astute businessman and recognized the value of databasing information early on. Being able to construct my own databases allowed me to do several projects that were particularly influential in the way I looked at information. One of the projects was to database the contacts that the brokers in our office used to develop business. Our firm’s business model was territorial with each broker having an assigned property type and area. To see how well this worked, my boss had me collect each broker’s contacts by Zip Code and create a map of where the contacts were in relation to the broker’s chosen territory. This process was very similar to the Intelligence Preparation of the Battlefield (now Battlespace) products I had prepared in the Army. The results were surprising to everyone involved. In almost no case were the majority of the broker’s contacts in his or her territory. Some were nearby, which was understandable, but in many cases, they were widely scattered and even far away. The brokers themselves couldn’t believe it until I showed them the actual maps. What this showed me was how inaccurate conclusions based on data that isn’t properly disaggregated can be. Their information was written down in their Rolodexes with every contact date annotated. That system told them very well what the level of their contact activity was. What it didn’t provide was much information about how well they were following their business plan. Aggregating the data and then disaggregating it by location instead of contact name and date told a much different story. Another database I had to create was of proposed and completed deals. Creating this database gave me a much better insight into the numerous factors that make up a transaction. Proposed rental rate, length of term, size of the space, etc. were all captured when the brokers proposed a transaction. Eventually we would enter whether the deal closed or died. That database gave our company a firm understanding of what the market was actually doing across the city and in the various submarkets. Instead of speculation about what actual rental rates and terms were, we had a very clear picture. Training I took impacted my thoughts also. I took Massad Ayoob’s Lethal Force Institute I in 1991. Having a measured and structured component to training was an eye-opening experience. Similarly, when I started training with John Farnam of Defense Training International, I got a lot of good information, both formal and informal. John was kind enough to give me a copy of W. French Anderson’s book about the FBI Miami Massacre. The book provided a superlative example of an in depth analysis of an armed conflict. The next leg of my experiences developed when I started shooting IDPA in 1998 and then started an IDPA club. A number of Match Directors and I were discussing how to develop stages every month for our matches. Stage development is a constant pressure for any Match Director to keep the matches fresh and interesting. Someone suggested that The Armed Citizen column of NRA’s American Rifleman magazine might be a good place to start. I had been tearing the columns out of the magazine for years but never paid close attention to them. So I dug them out and looked through them in greater detail. My response to the other MDs was that almost all of the incidents were less than five shots and a lot were only one or two. Many of them had no shooting in them at all. The general consensus was the round count wasn’t high enough and the situations weren’t complicated enough to make interesting scenario stages. My conclusion was different though, so I started designing what I called Armed Citizen Scenarios for my matches. There were several ways to adapt the incidents into stages. One way was to put multiple strings into a stage. For instance, if a Citizen was wounded in the arm in an attack, I would have one string shot with both hands and a second string shot with the Dominant Hand Only. Or, when only one shot was fired at one criminal in the actual incident, I would specify a failure drill (two shots to the body and one to the head) on all the targets. The Armed Citizen topic interested me enough to create a database all 482 of the incidents from the column for the period 1997-2001. The incidents were remarkably devoid of ‘ninjas coming from the ceiling’ and ‘face eating meth-heads.’ As I had done with the deal database, I broke out as many different characteristics (at home, in a business, number of shots fired, etc.) as I could. With the database populated, I ran a series of pivot tables and produced a short study of what the characteristics and outcomes of the incidents were. Although there were methodological issues with it, fifteen years later, it remains the only study of its type I am aware of. Like a vampire that won’t die, it continues to be widely referenced and reproduced on the Internet. One of the criticisms of my 1997-2001 study was that the NRA ‘cherry-picks’ the incidents to portray the actions of Armed Citizens in the most favorable light. Although the nature of what the Citizens might have done wrong was never really specified, I accept that as a valid critique. Only Positive Outcomes are reported in the Armed Citizen. Flash forward more than a decade to the 2014 Rangemaster Tactical Conference, where I am an annual presenter. My colleague Craig Douglas threw down a challenge to me. “You should do a presentation on ‘Bad Shootings’ next year.” It was a virgin topic and gave me an opportunity to counteract the ‘cherry-picking’ aspect of the Armed Citizen. I accepted the challenge and casually started gathering information. The categories are far from being the lurid list of ‘gunfights lost’ that those who objected to the 1997-2001 study probably expected. Rather than being tactical failures, most are simply the result of poor gunhandling, lack of familiarity with the law, or out and out carelessness and negligence. My list of such incidents is shockingly long. The only really noticeable category of tactical failures was what my colleague Tom Givens calls ‘forfeits,’ i.e., not having your gun when you need it. There is a process to data collection and analysis. Information that isn’t written down and then analyzed in written form is prone to error. The human mind has a remarkable capacity for memory but that capacity can be disorderly and easily misinterpreted. Defensive Gun Uses by Armed Citizens tend to be uncomplicated affairs. Defensive Gun Uses have discrete characteristics that can be broken out for broad analysis. Negative Outcomes rarely consist of ‘gunfights lost’ but more often are negligence related Unintentional Shootings and Unjustifiable Use of Weapons. The exception to that rule being not having a gun when it’s needed. The warm weather is here and I know a lot of folks are going to start carrying snub revolvers for the summer. I love snubs and have spent years learning how to run them well. As far as I know, I’m the only person to ever have won six Sanctioned IDPA Championships with a snub. At the same time, I acknowledge they’re not the easiest guns in the world to shoot. That’s why I made two DVDs about the best techniques for using snubs and getting the most performance out of them. To kick off the Summer, I’m offering both DVDs together as a package at a discounted price. Also included is a free bonus CD with two dryfire practice regimens and a reduced scale practice target to help you keep your skills up. You can get the package on my webstore. You can tell from the music (DJ Siamey) on this one that I’m a Trance music kind of guy. So far, I have 175 rounds through the SCCY CPX-2 that they sent me for T&E. It had a Failure to Chamber on the fourth round I fired but no malfunctions since then. I shot it at an IDPA match today and was able to do reasonably well (5th overall) against full size service pistols. One of the stages was a true El Presidente (10 yards with targets 2 yards apart). I finished 2nd on that one with an overall time of 11.73 (10.73 with 2 down). The front sight now has 3M Reflective Tape on it and I was able to remove the horribly distracting white dots from the rear sight. The three dot system does nothing for me, especially the way most manufacturers implement it. One of my friends commented that the front sight is visible from behind the shooting line, i.e., in the peanut gallery. The trigger takes some getting used to because of the length of pull and reset. Shooters used to riding the reset/catching the link will probably not care for it. Flip and press works well though. I am not wild about it being flat all the way across and may do something about that. 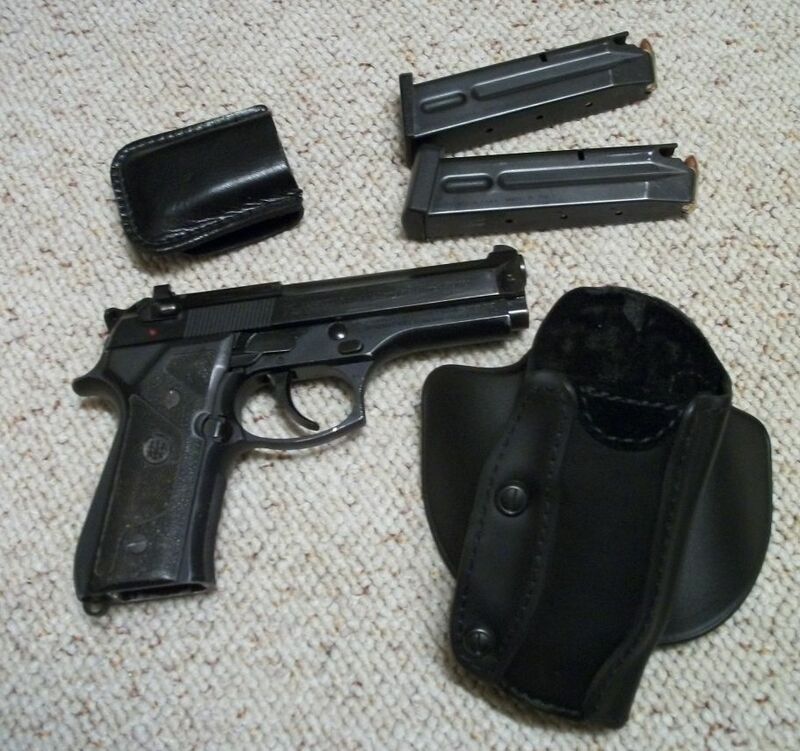 Although the gun has noticeable muzzle flip, as might be expected from a 15 ounce 9mm, it isn’t painful to shoot the way I found the PF-9. It’s definitely more pleasant than shooting an LCP. I did several tactical reloads and did not get pinched at all. Yesterday, I shot the old FBI Double Action Course with it and was able to make 96%. This is properly shot on a Q target but I used an IDPA -1/-0 scoring zone. The pistol’s accuracy seems to drop off quite a bit past 15 yards. That’s something I will have to verify further. Most of my shooting with it has been with locally remanufactured ball ammo. However, I shot one stage today with Winchester 147gr SXT and had no problems. I was given the opportunity to shoot a SCCY CPX-2 pistol today. The pistol has been of some interest to me because of its small size, double action only mechanism, and relatively low price point. Many people are price constrained about what they can buy, so inexpensive but serviceable pistols are always of interest to me. In the past I owned a Kel Tec P11, to which the CPX-2 bears a strong resemblance. I thought the P11 had promise as a pocket pistol for me. I couldn’t have been more wrong. The trigger was so bad that I could never get a split under .50. And it had the annoying tendency to not ignite +p ammo, which made no sense to me but was a well known problem at that time. Finally, I gave up and sold it to someone who really wanted it. So the SCCY had to have a lot better trigger than the P11 to fill the bill for me. The only real way to test that is to shoot it. Through an unexpected coincidence, a meeting was arranged with the local representative, who met us at Sandy Springs Gun Club and Range with several pistols. He had a number of guns in a large laptop bag, just like I am prone to use as a range bag. He explained some of the features of the CPX-2. Very important to me was that it can be dryfired, which some KelTec pistols cannot. It also has a second strike capability, which I like. Although the standard doctrine upon receiving a click is to tap-rack, gunowners who are not well regulated don’t know what that phrase means, much less how or when to execute it. Having a second strike capability will allow an untrained user the opportunity to simply press the trigger again and maybe get a bang. It’s very easy to disassemble, which cannot be said for the Kahr, another popular DAO compact gun. The CPX-2 has a polymer front sight and a steel rear sight, unlike the P11. The rear sight has two huge white dots on it, which are much larger than the dot on the front sight. I dislike this ‘feature.’ If I bought one, a black Sharpie would be the first thing I would put to it. As an initial benchmark, I shot a variant of the LAPD Retired Officer Qualification Course. The course consists of 10 rounds shot at seven yards on a silhouette target. My variation is to use two magazines of five rounds each, one of which has a randomly inserted dummy round in it. Shoot five, reload five, and clear the dummy wherever it happens to show up is how I do the drill. I was easily able to shoot the course at speed with only two hits outside the 10 ring. Although most personal protection incidents occur within seven yards or less, the need to shoot at longer distances is not unknown. My colleague Tom Givens, has documented several armed citizen shootings at distances from 15 to 22 yards, which represent about 5% of his students’ encounters. To test the SCCY at distances like this, we set a target at 15 yards and fired a five shot group on the torso. I was able to shoot a five inch group, despite the distracting dots on the rear sight and the indoor lighting. Then I moved the target out to 20 yards and fired a five shot group at the head. Although it was only about four inches, it was centered slightly to the right of the head. I fired another group while really concentrating on the rear notch. 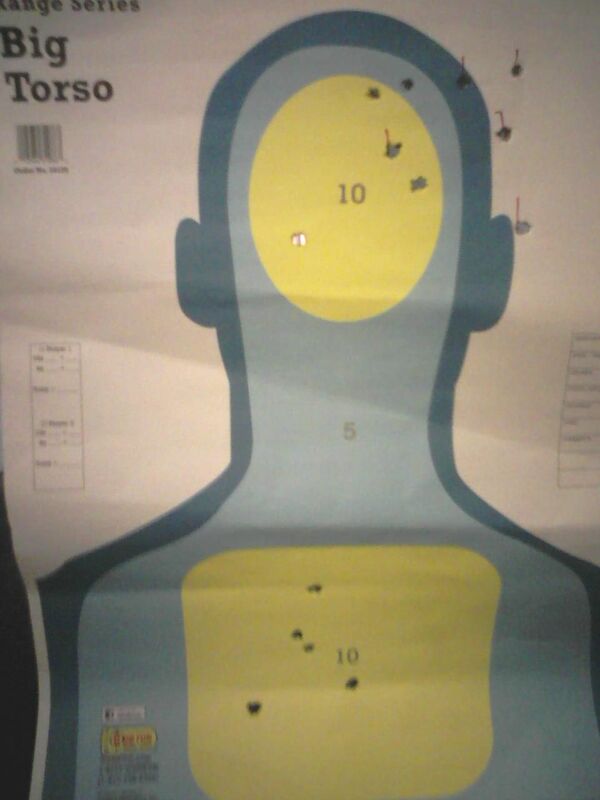 This group was more satisfactory, with all the rounds hitting the head in a five inch circle. This exercise confirmed for me why I dislike three dot sights so much. I finished by shooting five rounds at seven yards Strong Hand Only, followed by five rounds Weak Hand Only. The group was slightly larger but still acceptable. The pistol’s handling qualities were good and we experienced no malfunctions. The only issue we encountered was with the slide failing to lock back when a friend shot the pistol also. This occurred because my friend doesn’t have the proper grip habit of keeping his thumb away from the side of the pistol. The CPX-2 has a full size ‘Slide Hold Lever’ and if the thumb is not kept away from it, the pistol is not going to lock open on the last shot. It would also be easy to bump it up if the thumb were positioned under the lever. The rep said a flat lever was available from the factory. There is also a laser available from ArmaLaser. The laser comes on when the pistol is gripped and requires no manual pressing of activation buttons. Overall, after 100 rounds, my impression was quite favorable for an Every Day Carry piece. I may get one and try it out in IDPA to see what I can do with it. Marksmanship, gunhandling, mindset. –The Combat Triad originated by Jeff Cooper. 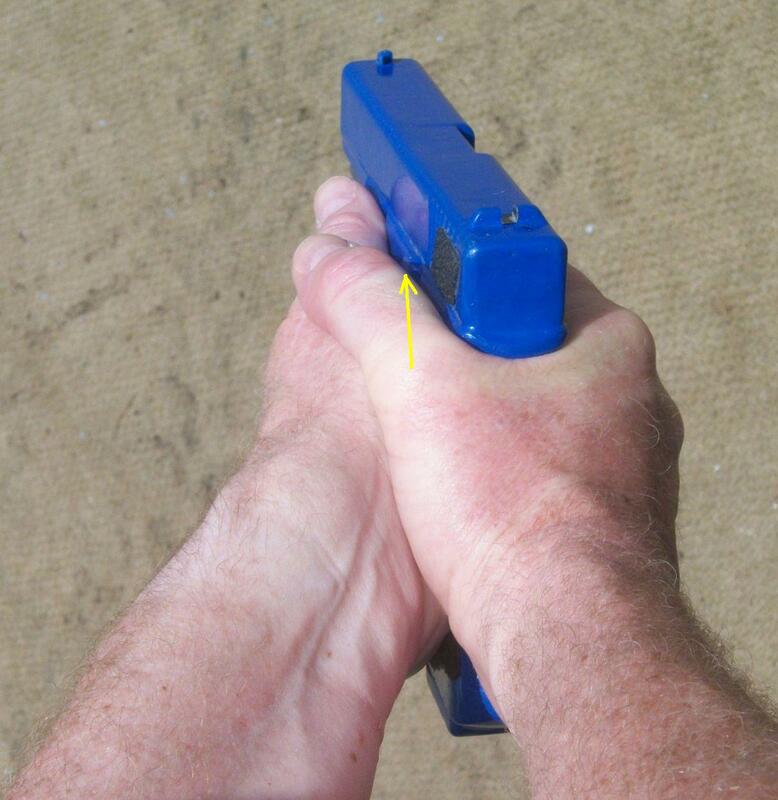 I had two interesting experiences relating to gunhandling last week. Gunhandling is an often overlooked component of the Combat Triad. 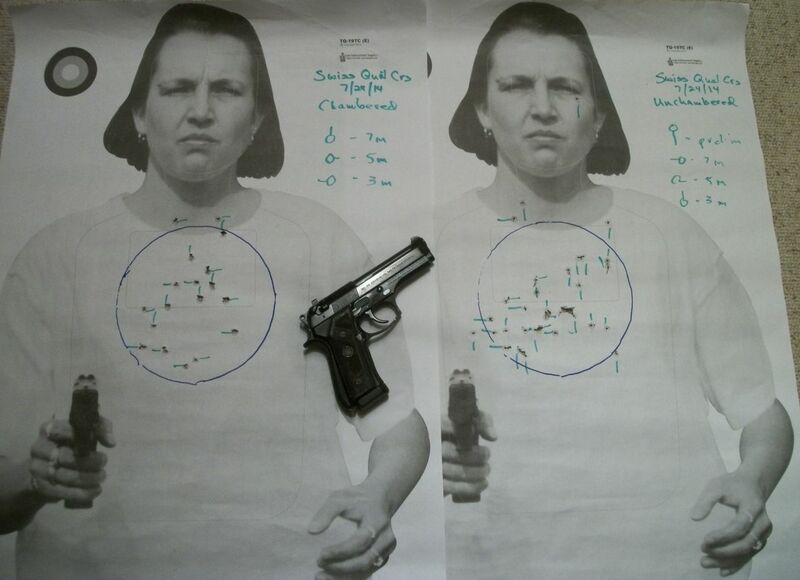 The first was the result of shooting the Swiss concealed weapons qualification test. A friend of mine lives there and recently obtained his license. The Swiss don’t have a training requirement, per se; rather they have a testing process consisting of a written test on legal aspects and a practical test (what we would call a qualification course). They are both administered by the Swiss Polizei. The written test must be passed before the practical test can be taken. He sent me the qualification course that is required to get the license. The material he sent me is in French, so I may have mistranslated it, but I believe all the strings start with empty chamber. Since whether to carry with a round in the chamber or not is frequently a topic of discussion among new weapons carriers, I decided to shoot it that way even if my translation was incorrect. The course is shot at 7 meters, 5 meters, and 3 meters. At each distance, three strings of two shots each are fired. The time limits are 4.0 seconds, 3.5 seconds, and 3.0 seconds for each string, respectively. Each string starts with the pistol holstered and concealed. The target is a silhouette with a bottle shape on it, which appears to be roughly the size of an FBI ‘Q’ or the IDPA -0/-1 zone. The Swiss score this with a points system. Shots in the bottle count as one point, shots on the silhouette outside the bottle receive zero points, and shots that miss the silhouette result in a one point penalty. Shots over the allotted time also received one penalty point. Fourteen points are required to pass the test. To get an initial feel for the difference between chamber empty and loaded chamber start, I did five one shot unconcealed draws using each technique. Overall, chamber empty was slower to the tune of .48 seconds average. I was shooting my Beretta 92G Centurion from a Safariland 567 open top holster. Having established a baseline difference, I proceeded to shoot the Swiss qual course twice, once with the chamber empty and once with a loaded chamber. I used the same gear but also my favorite concealment vest, a construction worker’s fluorescent vest. What I found was that chamber empty was not only slower (0.48-0.67 seconds) but somewhat less accurate than having a round in the chamber. I had to work really hard to get the front sight on target after loading the chamber. Unlike a smooth loaded chamber drawstroke, there’s a lot of rotational movement of the pistol going during the period of driving the gun to the target. I didn’t have any trouble making the times, but it’s not exactly a cakewalk, either. Not long into the course, the safety ears were beginning to hurt my fingers, which may have had some effect on the results, too. Years ago, I took a pistol course from Kelly McCann. He said that the Israelis just accept that they are going to throw away the first shot when using the chamber empty technique. After doing this exercise, I can see why. With all the gun movement, and if using the strict Israeli technique, 90 degrees of rotating of the gun, it’s hard to get even the muzzle indexed on target, much less get the front sight on it. Notice also the inclined to the low left classic group, indicating the trigger jerking that was going on. I expect this is because of the amount of complex (gross simultaneous with fine) motor skills that are involved. 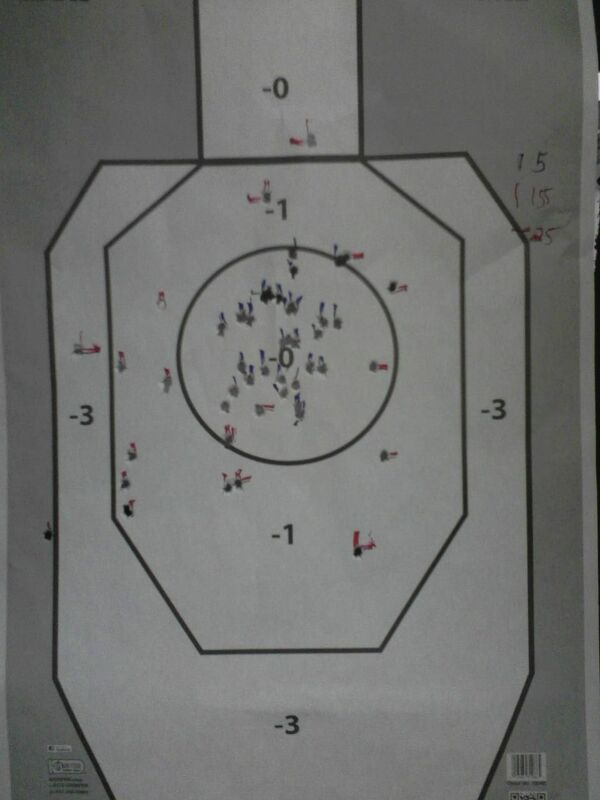 Note that I drew the IDPA -0 zone on the target after the shooting for analytical purposes. The second observation occurred at an indoor IDPA match. There was a blind stage in which the shooter’s gun had a dummy round randomly inserted in the magazine, without being told it was there. While this isn’t strictly legal for IDPA, it did provide an interesting laboratory when watching the shooters’ reactions. I watched about 20 iterations of the stages, so it gave me a decent view across the range of shooter abilities, Novice through Master. There was a wide range of reactions. Unfortunately, many people were positively flummoxed upon encountering the click. They would just look at their gun and not do anything. The Safety Officer had to tell several to 1) clear the malfunction and 2) how to do it. What I found disturbing was how many people immediately ejected that magazine and reloaded with a fresh one. The follow-on action to the reload was about evenly divided. Half would then work the slide to eject the dummy and resume shooting. The other half would attempt to fire the pistol again without clearing the dummy, which resulted in nothing happening. Then they would work the slide and resume shooting. So, having a malfunction early in the string then produced a cascade of malfunctions for some shooters. Perhaps, this was due to grip issues or incorrect shooting posture, I’m not really sure. Observing this phenomenon gave me some serious food for thought. It’s well known that I don’t think spare ammunition is as necessary for Armed Citizens as is often made out to be the case. But if someone’s first reaction to a malfunction is to jettison their only magazine, that could be a big problem. 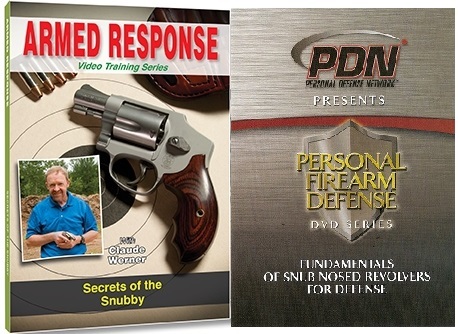 These two sets of observations reinforce to me that those who carry or keep pistols for personal protection need to do more practice than simply go to an indoor range and shoot a box of ammo periodically. Pistols are complex mechanical devices that require proper manipulation skills as well as acceptable marksmanship ability. I will talk about practice possibilities in the future.